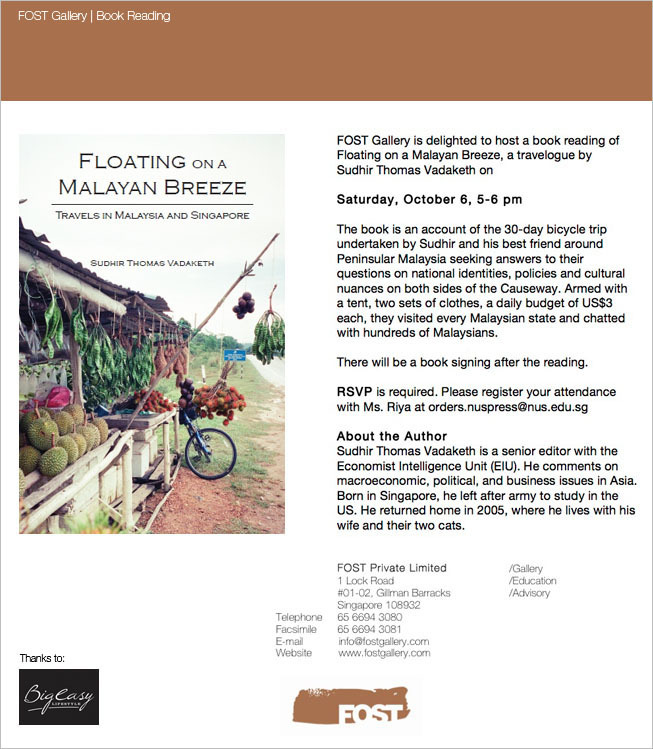 Dear friends, for those who missed the launch of my book, Floating on a Malayan Breeze, I would like to invite you to a book reading on Saturday, Oct 6th. The venue is wonderful: Fost Gallery, in the revamped Gillman Barracks area, displays pieces from local artists–very “Malayan”. Moreover, there will be fabulous free drinks! : Su Lynn, a mixologist from Big Easy Lifestyle, will be mixing up some cocktails and mocktails. A Big Thank You to Fost Gallery for hosting and to Big Easy Lifestyle for providing the drinks. We’ll have some bites on hand too. This one is much more casual lah, no guests of honour, no panellists, just me talking a bit and reading a couple of passages from the book. We will be selling copies of the book there. 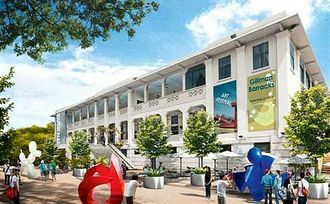 So: Great art, free drinks and snacks, literature, and a chance to check out the refurbished Gillman Barracks. Do RSVP to Riya at orders.nuspress@nus.edu.sg, so we know how many to expect. Please click on the flyer below for more information. And do tell your friends. See you then!